If you are looking for clock related resources for Photoshop and Illustrator, look no more. Here you can find the best tutorials, brushes and files with this theme. The clock is a really classic art element and it has been designed and redesigned a lot over the time. 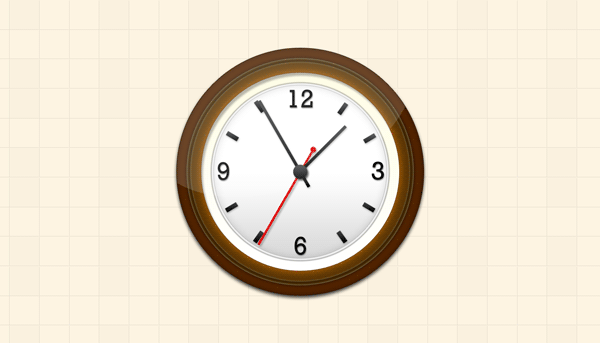 It is used very often in webdesign and almost every website/blog/forum has a clock icon. It is commonly used for displaying the time when a tutorial, comment, user and so on was added/created. In this article I will not focus on the huge amount of clock icons available on the market, I will instead show you the best clock resources for Photoshop and Illustrator. Here, I am talking about tutorials and files that can teach you how to create your own customized clock. And as a plus I have also gathered some great clock brushes and clock custom shapes that will help you a lot, making your Photoshop working process so much easier. I hope you’ll find this collection useful enough to share it with all your friends! The download includes a dark, glossy flip-clock template in vector shape layers. We know vector layers are a great way to edit the graphics easily without losing quality. You can change the numbers as well. The font used is a free font called Bebas. Download these free clock icons with all the layers intact so you can easily see the effects that has been used to create them. You can also change the layer styles and make your own customized versions. This is a modern “Digital Clock” icon. The download, comes in Photoshop (.PSD) format with all the layers organized in folders for easy identification. 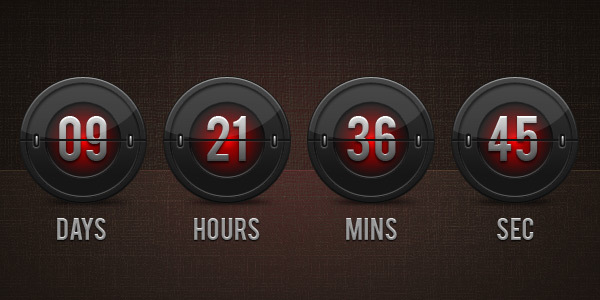 Here I’m giving you another clock icon with psd format. Now its a violet clock with blue outer. The icon have a high resolution pixels so you can use this for printing purpose too. Its for free for ever but forbidden to redistribute other than bijusubhash.com. License: Creative Commons Attribution-No Derivative Works 2.5 India License. 13 layers deep with full ‘layer styles’ intact. Use parts for your own creations or just check out the styles to find out how it was created. The clock is not vector drawn so you can not change the shape easily, that would be the only minus. Vector alarm clock with all the layers and styles organized in groups so that you can browse the file with no problems. Easily customizable, you can change the color and the wood texture rapidly. Beautiful clock icon with PSD file fully layered and intact layer styles. As a plus the clock is made out of vector shapes that can be resized, change color and shape easily. Fully editable and scalable (except noise layers) and well-organized in groups. This flip clock has a beautiful and classy design. Electronic alarm clock in Photoshop PSD format. The alarm clock graphic comes in fully layered PSD format with each part of the graphic layers organized in named folders. The graphic also comes as icons in PNG format various standard sizes 512×512, 256×256, 128×128 pixels. Black and white modern clock icon with a black striped background and a chrome frame and hands. Wall clock illustration, might be used as a template, rotate the clock hands and set your own time. From this tutorial you can learn how to create a nice looking clock icon in Adobe photoshop. You can download the layered PSD file and PNG file of the icon at the end of tutorial. 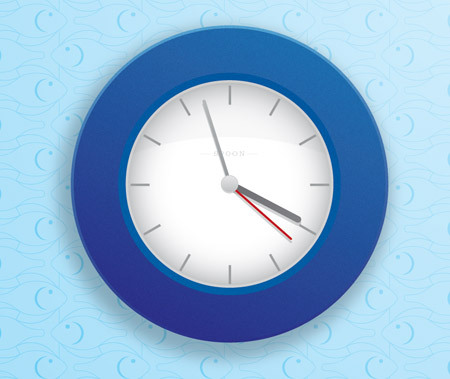 Learn how to make a cute blue clock icon in Photoshop. Unfortunately the tutorial doesn’t come with a PSD file attached. But you really don’t need one because the tut is very well explained and easy to follow. Here is a tutorial that will teach you how to make a nice digital watch icon in Photoshop. It is really a very detailed tutorial that looks very classy with its silver metallic look. 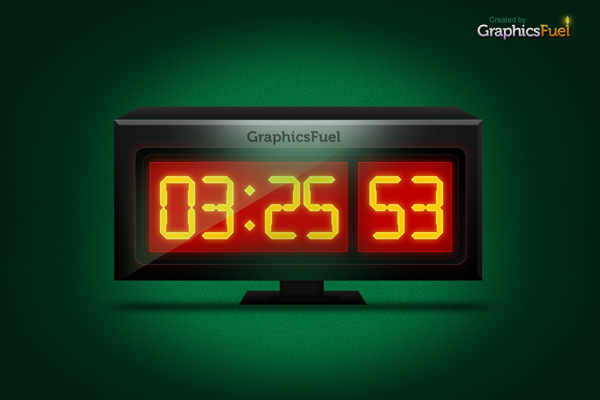 Create an easy vector clock in Photoshop using custom shapes. Detailed math information for perfect clock face with both hours and minutes gradations. This is a set of 21 Photoshop 7 clock brushes including hour glasses and a pocket watch. Brushes made in CS2. The zip file also contains a friendly pack of images for those who don’t use photoshop! Made out of scans from a book from 1951. Photoshop Brushes compatible with Adobe Photoshop CS3. A free brush set to mark the end of the year, free for personal use only. Really beautiful clock faces made with Adobe Photoshop CS3. Another great set of brushes from deviantart. The ABR file contains 15 brushes made with Photoshop CS2. 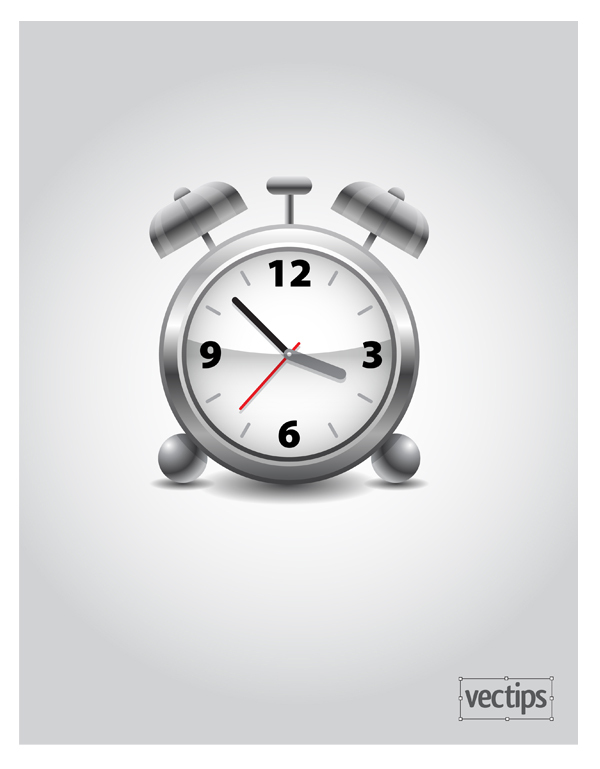 Download photoshop alarm clock shapes (9 vector clock shapes, CSH file format). These PS custom clock shapes are ideal for creating graphic and web designs – be sure to check them out! Download this free set of photoshop rectangle clock shapes with numbered faces and create an amazing illustration or banner related to time. Download free clocks photoshop custom shapes (CSH file, 12 vector clocks shapes in set). These PS custom clock shapes with numbered dials are ideal for creating designs related to time. Download photoshop clock shapes – 31 vector clock shapes, CSH file format. Pick photoshop clock shapes you like the most to create a design related to time. If you’re looking to develop your Illustrator skills, here’s a tutorial for you! Follow this walk through to see the how adding layer after layer of vector shapes, along with a range of gradients and a spot of texture can quickly create a great looking icon-style clock graphic.